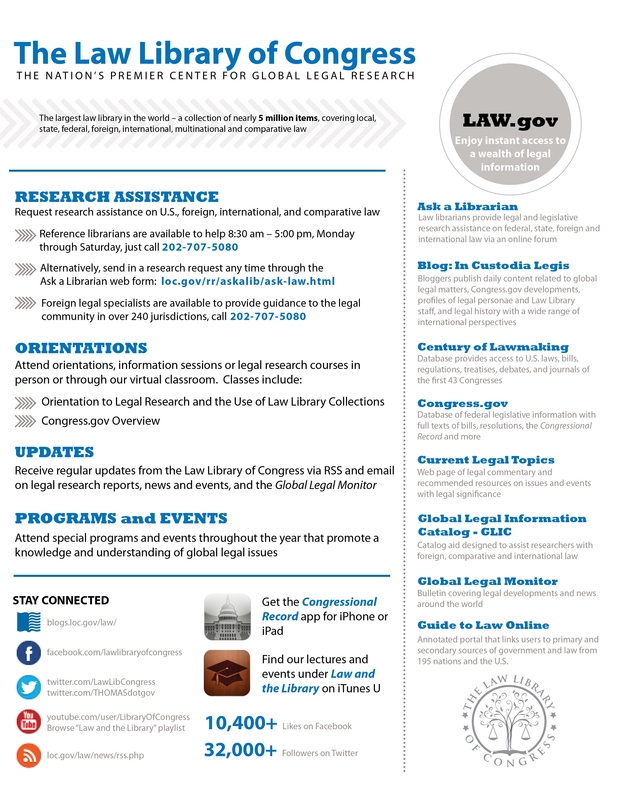 The Law Library of Congress has a large number of resources available to the public, from research help to an excellent blog, In Custodia Legis. The handout below is a useful guide to all that they do! Click on it to be taken to the In Custodia Legis blog where you can download a full sized version.